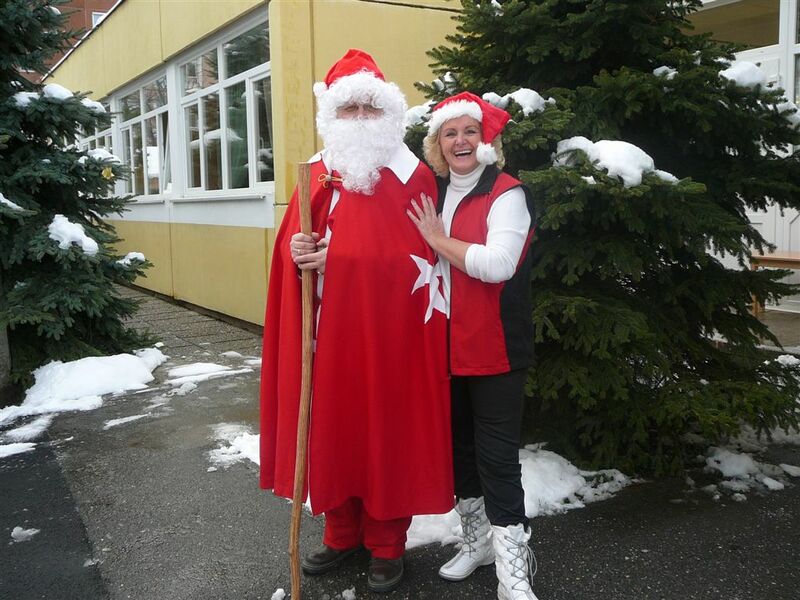 This year the famous Santa Claus, also known as Father Christmas, has decided to join our Sovereign Order and State to bring joy and happiness to the children. 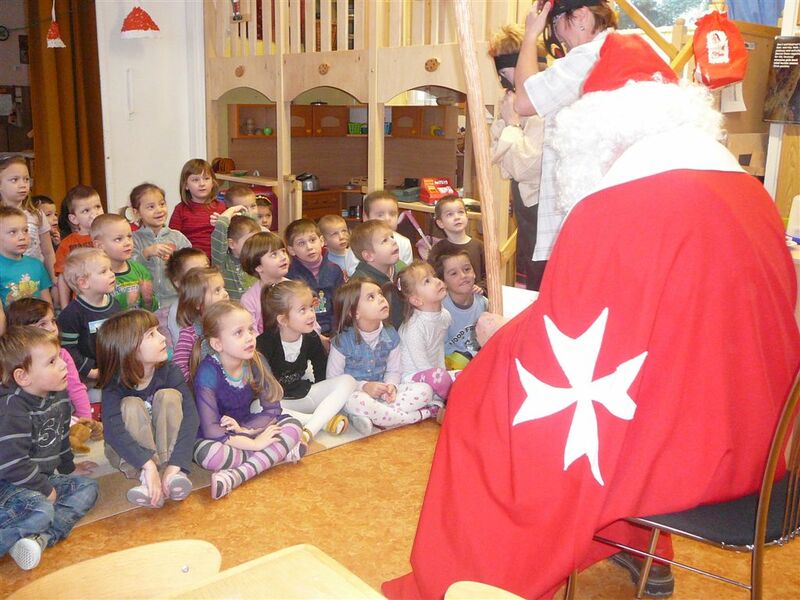 His first appearance as the Official Santa Claus of the Federation of Autonomous Priories of the Sovereign Order of Saint John of Jerusalem, Knights of Malta ( KMFAP ) took place in the City of Györ in Hungary at the Brunszvik Terez German Nationality Kindergarten, by the hand of our Knight Sir András Czapáry-Martincsevics and his lovely daughter, our Damsel, who was a valuable help to Santa Claus. 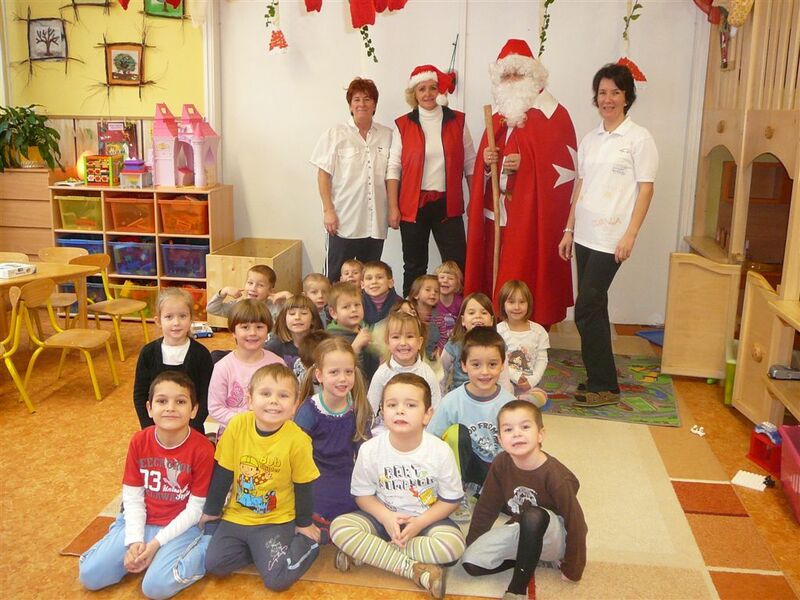 The Santa Claus of KMFAP brought many presents for the children, who were very happy with his visit and welcomed him with their paintings and songs. 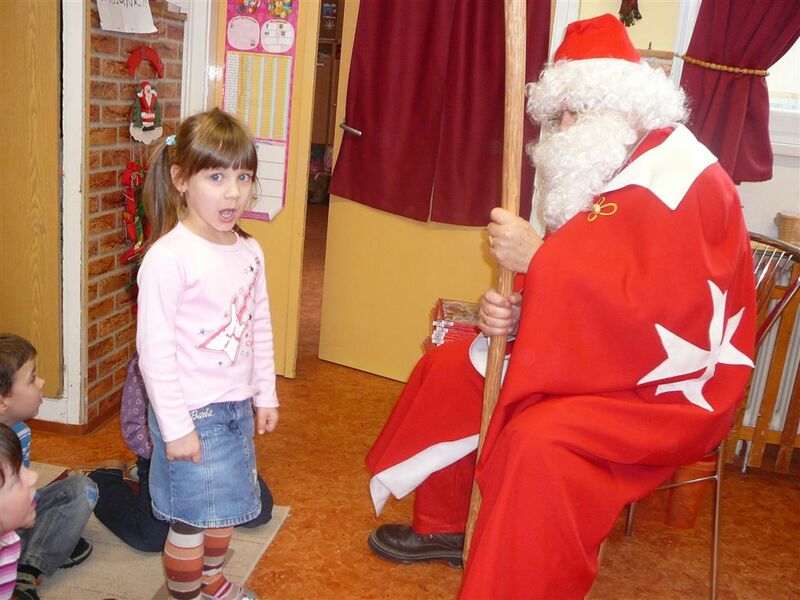 They all made the wish that our Santa will come back next year as well. Below are the photos of this visit . May Christmas bring to all of our Knights, Dames, Squires and Damsels and respective families Peace, Love and Prosperity, but, in these moments of happiness we can never forget all of those who are ill or in poverty. It is our obligation to make a better Christmas for the those who need, because there will be no real Christmas in the World while there will be people living in Poverty.